There’s nothing I love more than a quick and easy toddler activity. Actually, my favorite activity is one that is quick, easy, and spur of the moment – the ones that just organically happen. That’s how this ripping paper bin was started. 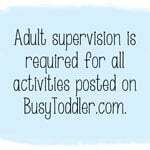 Looking for a bunch of easy toddler activities? 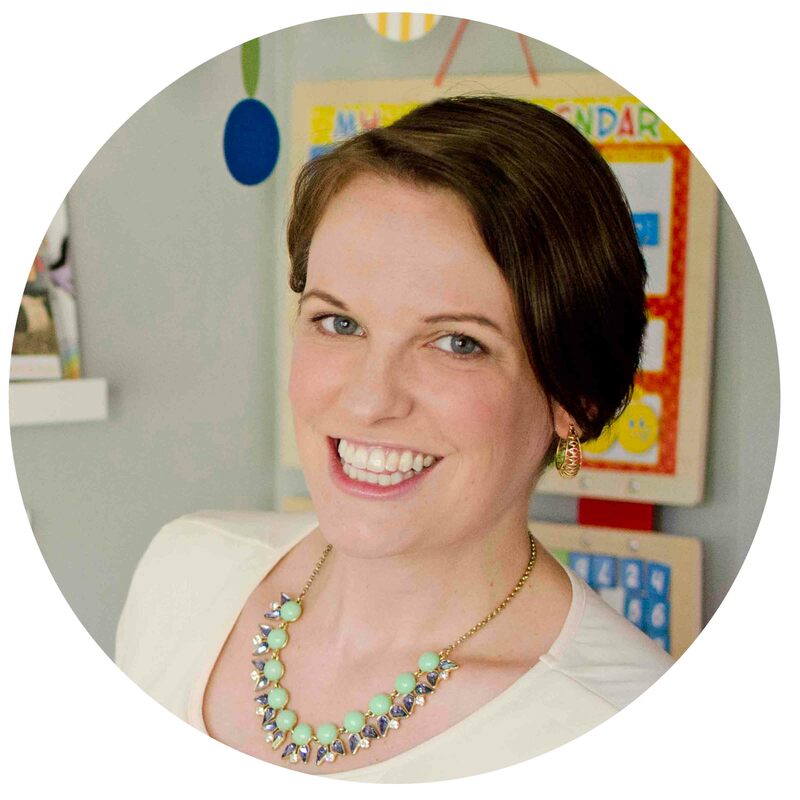 Check out my super popular post: 40+ crazy easy, no prep toddler activities. 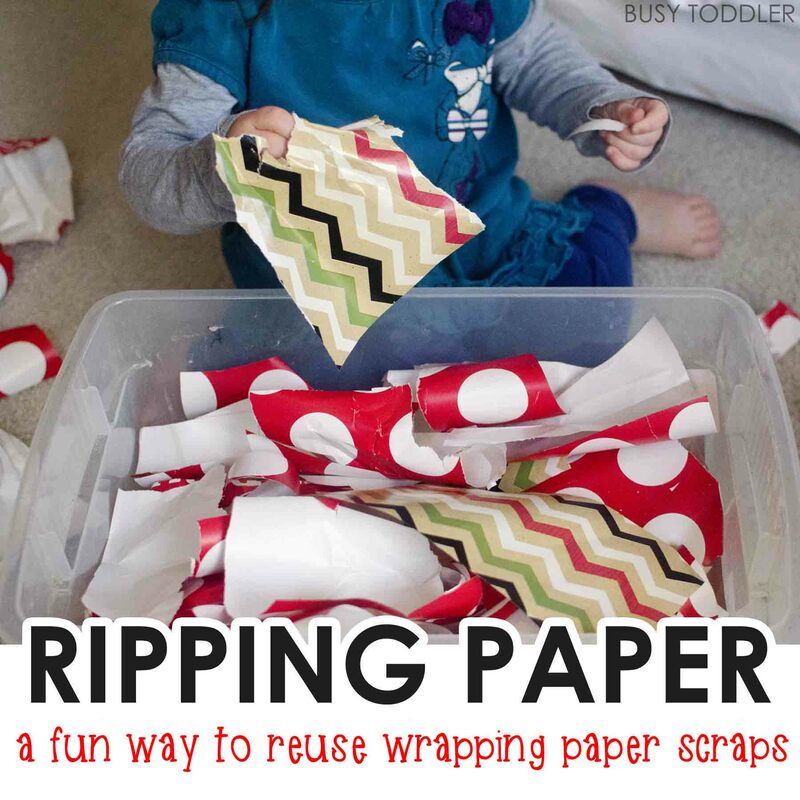 Setting up this ripping paper activity is so easy! 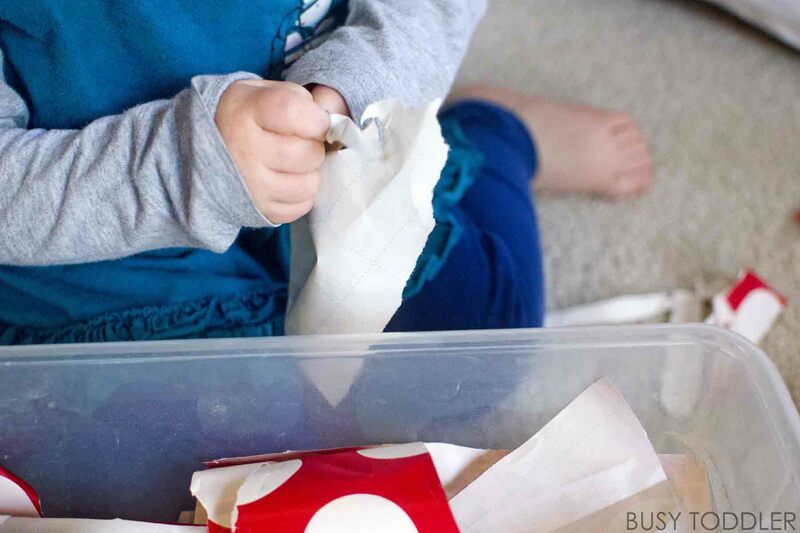 This is one of the easiest activities to set up: throw all your wrapping paper scraps into a plastic storage container for your toddler to play with. What is a ripping bin? My daughter was “helping” me wrap Christmas presents which meant things were taking twice as long and bows were being decimated (wink). I needed a quick activity to distract her while keeping her close and involved. I started gathering all the scraps from wrapping gifts and placing them in a plastic container. I showed my daughter (23 months old) how to rip the paper. She was hooked! And began shredding paper tirelessly. 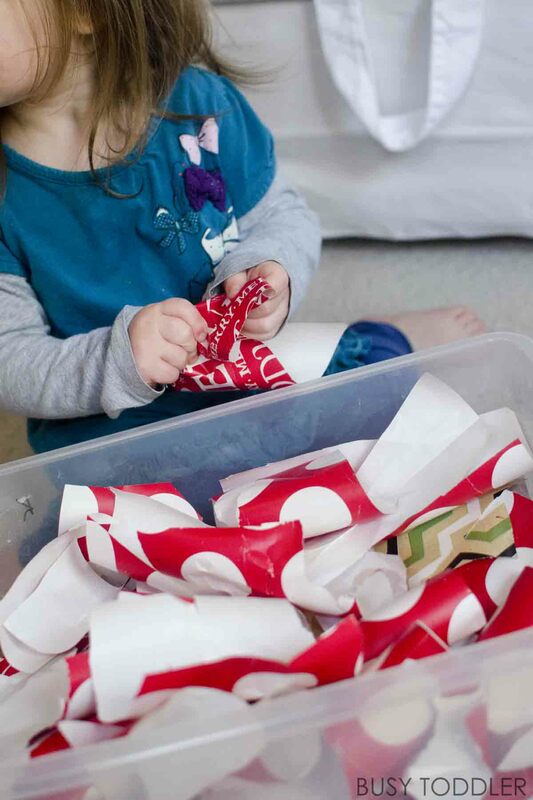 This activity makes use of all those remnants from wrapping gifts and gives toddlers a way to be a part of the wrapping process. It keeps little hands busy and active – I love that! 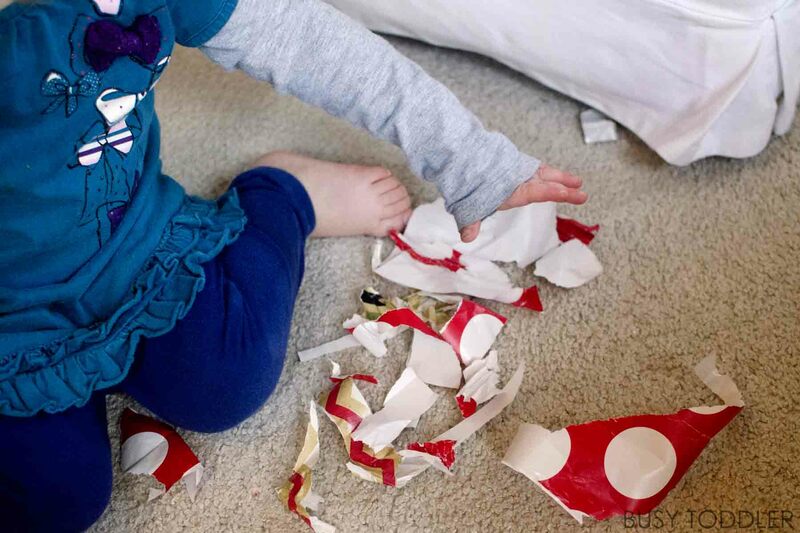 Toddlers can learn so much from ripping paper! This might seem like a simple activity (and it is!) 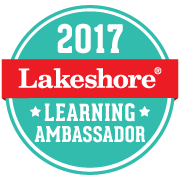 but it packs a fair amount of learning in with it. 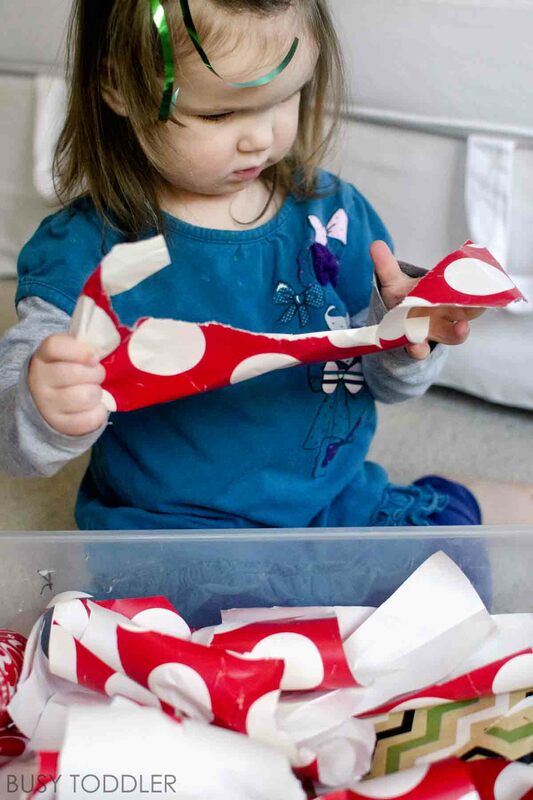 Ripping paper is a fine motor skills activity that focuses on grip strength. It also teaches cause and effect, and is a precursor to using scissors. 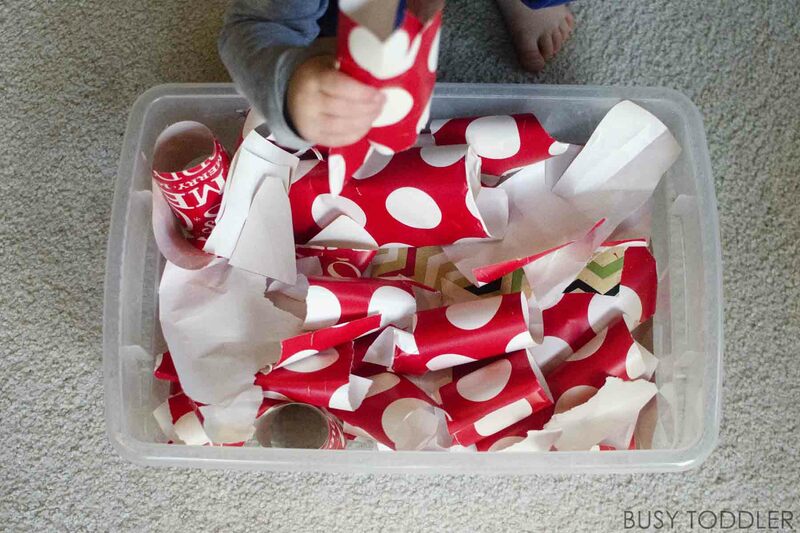 Think of this activity next time you wrap gifts. 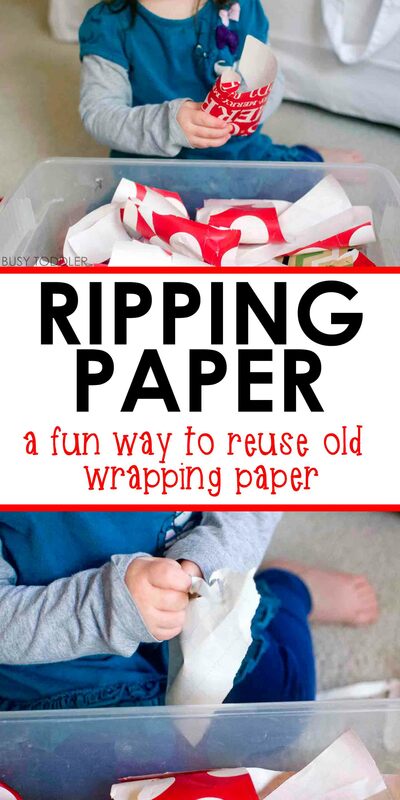 The next time you’re hard at work wrapping presents (and trying to entertain a toddler at the same time), try this ripping paper activity. It’s a great way to let toddlers play while you work. 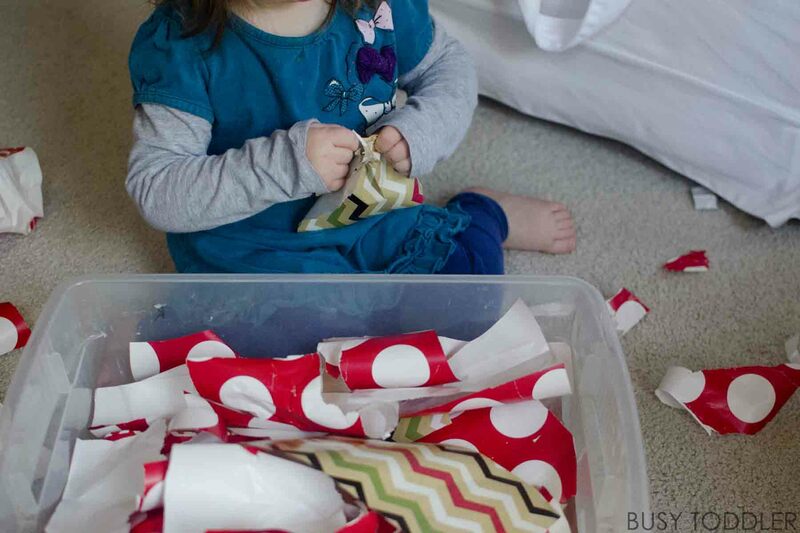 Will you try this ripping paper activity?